29.11.2007. Two recent sales by my agency, one via auction and one via Express Sale, give cause for fresh discussion about the relative strengths of different selling methods. The first home, a three-bedroom entry-level property in Kenmore, sold under the hammer for $455,000. It attracted more than 72 people to the auction site in Gilruth St, of which 14 were registered bidders. The excellent price result clearly reflects the growing demand for entry-level buying within 10km of the CBD. The second sale, a prestige property in Jamieson Place, Brookfield, sold for a record-breaking million-dollar-plus price within hours of the first open home inspection. Thanks to expert targeting of the growing market for spacious prestige property just out of the inner-city circle, this home also attracted a large amount of interest, with three buyers talking offers straight away. Why an auction for the Kenmore house? Why Express Sale for prestige in Brookfield? The answer in fact has nothing to do with the properties themselves and everything to do with the needs of the seller and the movement of the market. 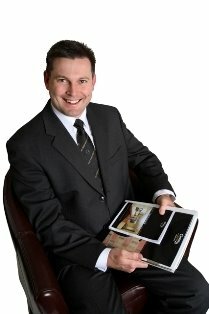 All real estate agents, whether they admit it or not, have preferences about particular selling methods (and, okay, mine is for Express Sale – an exclusive service of Century 21 that consistently achieves fantastic results), but to exercise this preference at the expense of truly meeting the current market does everyone a disservice. At the end of the day, the most appropriate method for any home is the one that matches the market, is precisely timed and meets the needs of the seller. Handled correctly, any method should deliver a fair and reasonable price result. Still in doubt? Ask an expert!